The #1 Personal Training Center in the Fox Valley area! Celebrating our 17th anniversary October 1st! Al Herman is the Trainer and Owner At Richmond Tanning and Training. Al has been a personal trainer since 1978, and has had a lot of success with a wide variety of clients. Each individual has their own personal goals, and at Richmond Tanning and Training we can help you reach yours. Whether you are looking for somebody to motivate you, help you lose body fat or gain muscle mass. Teach you about proper nutrition, or just enjoy a healthier lifestyle. Richmond Tanning and Training has your goal in mind and being able to feel great about your health for the rest of your life. Richmond Tanning and Training is the perfect atmosphere to gain results. Weekly measurement tracking, no waiting in line for the next exercise, and privacy so you will not have to worry about other people staring at your during your workout. If you want to take your game to the next level, contact us to book your first assessment! Al has been a competitive bodybuilder for almost 30 years. He has trained many other competitive athletes including wrestling, football, basketball, and bodybuilding. 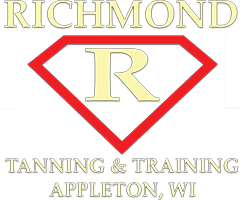 If you're interested in getting ahead in YOUR game, give Richmond Tanning & Training a call today!